The #KillerNote5 was so trending that many of us have probably overlooked the Lenovo Vibe K5 Plus, which has been just launched in India. It is just an upgraded version of the Vibe K5 Plus smartphone with higher RAM. The Vibe K5 Plus is a good choice in the budget category. Probably this is a strategy to beat the upcoming Xiaomi Redmi 3s, which is just set for launch in India after it was launched in China. The K5 Plus comes with a metal body built with aviation-grade aluminum alloy and will come in three color options- silver, grey, and gold . The K5 Plus comes with a 5-inch Full HD display with the pixel density of 441 PPI. The phone is powered by the Qualcomm snapdragon 616 octa-core processor, with Adreno 405 GPU alongside and 3GB of RAM. There is 16GB internal storage and a MicroSD card slot for expansion. The phone comes with the TheaterMax technology along with a VR headset. That’s not all, it comes with Dolby Atmos technology for the audio output from the phone to the headphones. The phone runs Android 5.1 Lollipop OS with Pure UI on top and is juiced by a 2750 mAh battery. In the camera department, it has a 13-megapixel rear camera and a 5-megapixel front-facing camera for selfies. There are dual SIM slots with 4G LTE connectivity on both. The sensors included in the Vibe K5 Plus are Light Sensor, Orientation Sensor, Proximity Sensor, Gravitation Sensor, and eCompass. 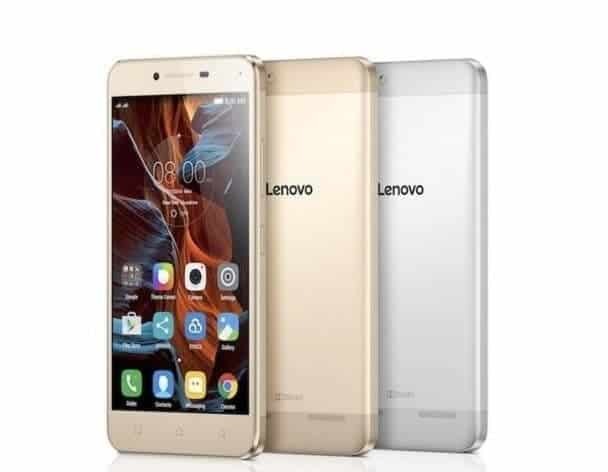 The Vibe K5 Plus will also go on sale from 23:59 hours on 3rd August, the same time when the Lenovo Vibe K5 Note is also getting released, exclusively on Flipkart. till then keep visiting us for more news, leaks and rumors and much more. Join us on Facebook to get our updates right in your news feed.